Let's face it, when you start out in Network Marketing, no one teaches you to build a list. It's never mentioned in the trainings. However, if you look at how the company distributes news and information to you as a customer or distributor, it's through email. 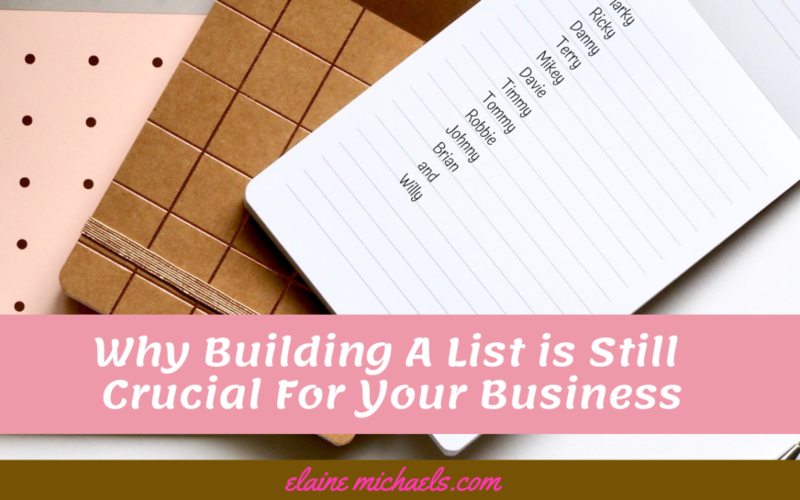 There's so much talk out there about not necessarily needing a list or methods in which you don't require building a list. Why everyone avoids building their list is beyond me. When my mentors told me I needed to build a list since the first workshop I attended, I got to work. Mind you, it is slow in the beginning when you're learning the process. I don't blame them. 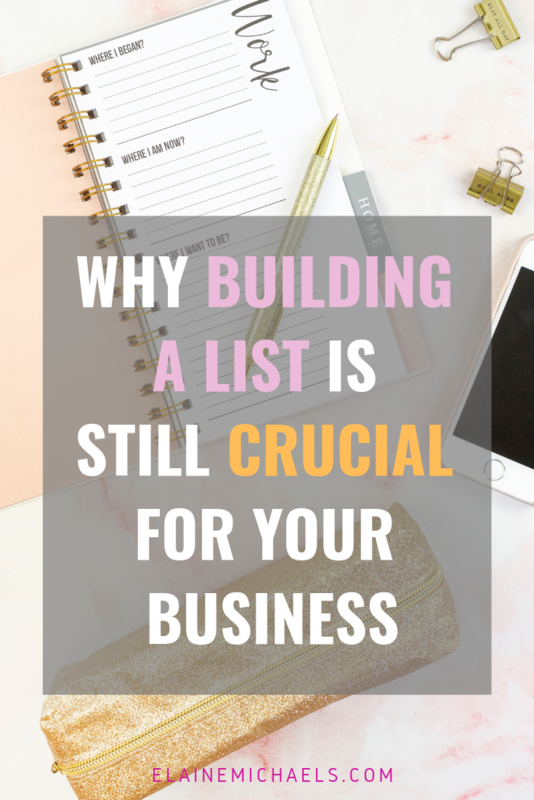 There's a lot of things out there that may appear to be easier, like Facebook lives, Facebook groups, Instagram posting and followers, but they still don't have the power of list building. They all also don't have the longevity of list building. Fad is just that. Something that is popular for a short period of time. What does it mean to Build a List? Building a list is like always having a group of buyers who already want what you have. How do you think successful companies stay in business? If they have happy customers that keep coming back for their product or service, then they will have a continuous flow of customers = sales. Think about this, this is not a foreign concept. It happens everyday when we shop. When you shop at the Gap, for instance, they ask you at check out if you would like to be part of the mailing list to get coupons. email address = exchange for coupons makes you part of their email list! You've now given the company permission to send you coupons, deals, sales, or any piece of news on a daily or weekly basis. With everyone focused on social media and followers organic and paid.. many people are missing the single most important thing that you need. Yes, you can leverage social media to bring you traffic. Yes, you need to push your brand out there so people know YOU and YOUR message. Posting on social media alone for your business is NOT enough. You need to have a system in place that is the foundation of your business so that when the trends on social come and go, your business is still standing. Followers on your Social Media platform don't necessarily see your beautiful content. Some followers are solely there to get you as a follower to increase their social proof and follow number. With a list, subscribers choose to be a receivers of your valuable information. They have already raised their hand to what you have to offer. That's why when we agree to get coupons from our favorite store like Gap, we are happy to receive the emails with discounts. There is a very highly likely chance that we will shop there again due to the positive experience we had previously. Getting those notifications that keep popping up continuously get my eyeballs in front of their latest offer. You know that saying out of sight, out of mind. That's exactly what they don't want to happen! This was a hard lesson that I learned very early on when I went online. And at a great cost. I had a sort of had this viral post, (it was a freak accident! ), I posted about this amazing free training that I just used, took action, and got amazing results. I started reaching back out to the people right away and within 10 minutes ended up in Facebook Jail. Overnight, I had 700+ comments. By morning I was sweating bullets. I ended up being in Facebook jail for about a week. Up until that point, I had only started growing my business on Facebook. The truth is, Zuckerberg owns Facebook and therefore if you build your business on there, he owns your business. He can shut the doors at any point in time. I had no way of getting in contact with anyone. That's when I knew that I needed to build my own list. If you need an autoresponder to follow up with your audience, check out Aweber. There is a 14 day trial, it's my #1 recommendation to keep your sanity! Your list is your own property. You get to control when the door is opened or closed. Not Zuckerberg! Need a list or need to grow your current list? Be sure to grab a copy of my latest book, where I share my best list building strategy. 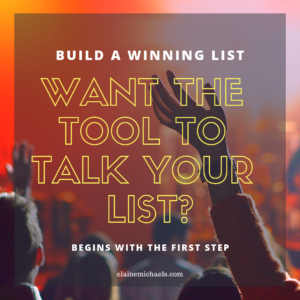 Want to use the list building tool that I do? I use an autoresponder called Aweber. Click here for a free 14 day test drive. Do you wanna build your Network Marketing Biz like me? This tool is my #1 recommendation for skillset development, training, and rewiring your brain for success, click here. Still want to read more articles like this?